Jon Sprunk's debut Shadow's Son has garnered some nice praise since its release earlier this year. I enjoyed it quite a bit for its fast pace and and strong action scenes that hearkened back to Fantasy of the eighties. 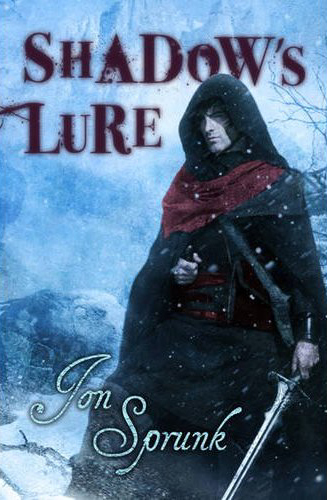 Sprunk's sophomore effort Shadow's Lure will show if he can grow from here. Above we have the UK cover from Gollancz with art by Chris McGrath who did the cover for Shadow's Son as well. Below is the Pyr art for the US edition from Michael Komarck, but it doesn't look to be the final version so I'll reserve judgement for now. 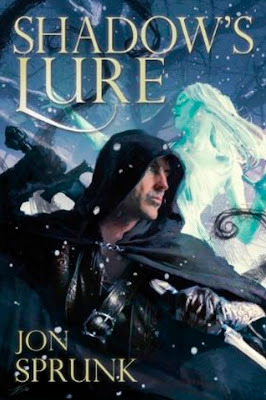 Shadow's Lure will be released in the US next June and July in the UK. Oh, unless they make a lot of changes it looks like the UK one is taking the win here. (Take that Yetistomper ;D) I keep meaning to pick up Shadow's Son, but it keeps getting waylaid by other books! Wow, Hatter. You got the UK cover art before I did (nice snag!). But I can't pick -- I love them both. mieneke: speaking of yetistomper, he also snagged the US cover of the scarab path (5th book in the shadows of the apt series) yet not even a single announcement of it has gone public. is this a Brent Weeks rip off? wassr: no. it may be in the vein of weeks due to the concept of shadowy assasins plus it also has a very sword and sorcery vibe to it but in no way does it rip off weeks.